India Post (Dept. 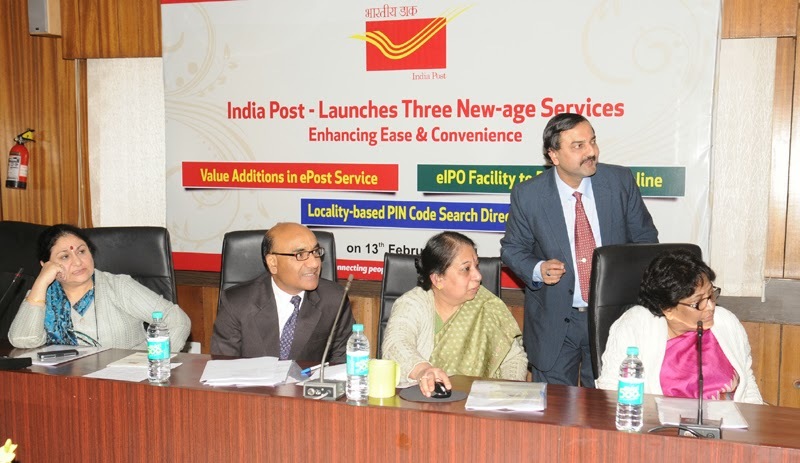 of Posts) here today launched electronic Indian Postal Order (e-IPO) for Indian Citizens living in India. Earlier last year the Department had launched the e-IPO on 22nd March, 2013 for Indian Citizens living abroad across the globe to facilitate them for paying online fee for seeking information under the RTI Act, 2005.e-IPO is a facility to purchase an Indian Postal Order electronically for paying RTI fee on-line through e-Post Office Portal https://www.epostoffice.gov.in or India Post web-sitewww.indiapost.gov.in. After paying the fee on-line one just need to annex the print-out of the receipt to the RTI application. Launching the service, Smt. P.Gopinath, Secretary, India Post, said that this has been achieved through a concerted and coordinated effort of her Department, N.I.C. and the Department of Personnel and Training. She generated the FIRST e-IPO for Indian Citizens living in India on the occasion and presented it to an RTI activist. Under this service, the applicant needs to register at e-Post Office portal of India Posthttps://www.epostoffice.gov.in or through India Post web site www.indiapost.gov.in (where a link for e-Post Office has been provided) to create his/ her profile for the first time. Both Debit and Credit cards of any Bank powered by Visa/ Master can be used for this purpose. The Secretary, Dept. of Posts, Smt. 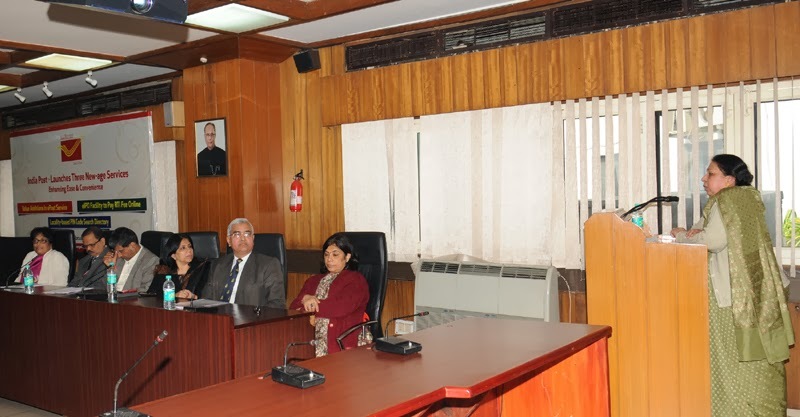 P. Gopinath addressing at the launch of the value additions to the 3 e- services of the Department, namely e-IPO; e-Post and Locality-based Pin Code Search Directory, in New Delhi on February 13, 2014.